One of India's top cinematographers, P.C. as he is known to friends, is an alumnus of the Madras Film Institute. His extensive body of work in cinema is best described by the recognition he has received for it. 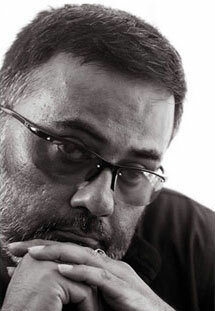 He was the recipient of the National Award for Best Cinematography for the Tamil film ‘Nayakan’ in 1988, the Nandi Award for Best Cinematography by the Government of Andhra Predesh for the Telugu film ‘Geetanjali’ in 1990, and the Kalaimamani Award - the most prestigious title awarded by the Government of Tamil Nadu for contribution in the medium of art. Films he has worked on include ‘Agni Natchathiram’, ‘Thevar Magan’, ‘Apoorva Sagotharargal’, ‘Thiruda Thiruda’, ‘Alai Payuthey’, ‘Cheeni Kum’, ‘Kanda Naal Muthal’, ‘Paa’, among others.